ESSWE | European Society for the Study of Western Esotericism - Workshop on "Emblems, Magic, and Hidden Knowledge"
Workshop on "Emblems, Magic, and Hidden Knowledge"
EMBLEMS, MAGIC, AND HIDDEN KNOWLEDGE March 25, University of Amsterdam Doelenzaal, University Library Singel 425 * * * Conference Program 9.30-10.00 Conference opening and introduction (Joyce Pijnenburg and Egil Asprem) 10.00-10.30 Erica Pierik (University of Amsterdam) “Iconography of the Splendor Solis” Abstract: Splendor Solis was published in 1582 and contains 22 beautiful large illustrations. The illustrations tell the reader about the process of The Great Work, or the making of the philosopher’s stone. Referring to the allegorical process in the paintings as a whole, they also contain a lot of symbolism in the details of these paintings. Partly the symbolism is alchemical in itself, without any precedents in art history, partly it is influenced by medieval manuscript illuminations. This presentation will deal with an iconographic explanation of the illustrations of Splendor Solis, with an introduction on alchemy, alchemical imagery and medieval illuminations. 10.30-11.00 Hereward Tilton (independent scholar) “Creating the Philosophers’ Stone: On the Modern and Postmodern Interpretation of Alchemical Symbolism” Abstract: A discussion of the relation of laboratory alchemy to 'spiritual alchemy', and the place of both within the historiographies and theoretical frameworks proposed by historians of science and historians of Western esotericism. 11.00-11.30 Cecile Wilson (University of Exeter) “Rembrandt's Faust: A Reflection of Occult Philosophy?” Abstract: Rembrandt's etching, commonly titled 'Faust in His Study, Watching a Magic Disk', is a departure from his usual subject matter. How did he come to compose such a scene? This paper will look at suggested inspirations for the etching and propose some other avenues of investigation that may lead to a new interpretation of the cryptic message on the disk. 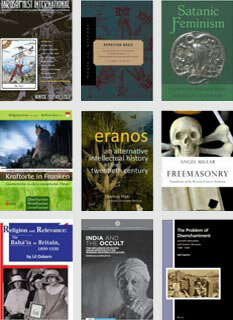 11.30-13.00 break 13.00-14.00 keynote lecture: William Kiesel (independent scholar) “The Circle of Arte: The Magic Circle in the Western Esoteric grimoire Tradition.” Abstract: Magic Circles have been depicted in popular expressions of magic and witchcraft as well as detailed with full rubrics in traditional manuals of magic such as the Clavicula Solomonis or Liber Juratus. 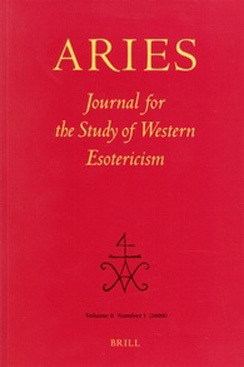 Using narrative, visual and textural material available to us in European grimoires and manuscripts, this paper will discuss the various forms and functions of this important piece of apparatus employed by magicians in the Western Esoteric Tradition including their role in providing authority and protection to the operator as well as their use in divination and treasure finding. 14.00-14.30 Egil Asprem (University of Amsterdam) “Ritual Emblems and the Nature of Spirits: The Case of Dr. Rudd’s Demonized Angels” Abstract: The ambiguity of mediators has been a recurring theme in Western magical traditions. In this paper, a case will be made that emblematic material embedded in ritual settings can be used to discern the nature attributed to spirits by magicians. Focusing largely on such pictorial evidence, attention will be given to a 17th century magician’s reception of John Dee’s angel diaries, and the revisions made by that author concerning the nature of Dee’s angelic mediators. 14.30-15.00 Jason Rose (University of Amsterdam) “Benjamin Franklin and the Potency of Magic Squares” Abstract: The famous American politician and entrepreneur Benjamin Franklin curiously mentioned a childhood interest in magic squares. In a discussion with a friend upon the subject, Franklin boasted that he could not only design magic squares that are superior to those of Michael Stifel, but that his 16x16 square is the "most magically magical magic square ever made by a magician". While this claim may seem trivial at first, a closer inspection of Franklin's squares and the methods used to generate them display a keen mathematical knowledge and begs the question: why did Franklin believe one square was more magical than another? What is the criteria Franklin based this assessment on? I will examine the common and special properties of Franklin's squares and those of several other prominent square designers (Agrippa, Stifel, etc.) in an effort to gauge the "magical potentcy" of each method, in an effort to determine what makes one square better than another, and whether Franklin's is, in fact, the most magical. 15.00-15.30 break 15.30-16.00 Dominique de Roo (Leiden University) “The Magical Manuscript: Manuscript versus Print in Early Modern English Grimoires” Abstract: The genre of the Early Modern grimoires remained in manuscript form for a long time after the printing press was invented in 1450, even though other types of magical texts, such as texts by Pico and Agrippa, were printed. This paper will apply a cultural-historic perspective to discuss the genre of the Early Modern English grimoires as magical manuscripts and to examine why this particular genre remained in the tradition of the manuscript in a period when almost all other genres were printed. 16.00-16.30 John Crow (University of Amsterdam) “Miracle or Magic? The Problematic Status of Christian Amulets” Abstract: Throughout the centuries since the life of Jesus, the Christian Church has simultaneously condemned and promoted the use of amulets, and in particular textual amulets. The reason this occurs is less because of the nature of the amulets themselves but how the Church categorized them and how the amulets were produced. Moving towards modernity the use of amulets continued but their creation migrated from the clerical classes to the middle and working classes. This paper examines the categories and uses of textual amulets and the continual negotiation that took place over the last two millennia. It ends by briefly probing how the academic study of amulets (i.e. magic) and their use in society encounters the same categorical difficulties. 16.30-17.00 Kristiaan Knoester (University of Amsterdam) “Leo Strauss and the Art of (Esoteric) Writing” Abstract: The primary goal of this presentation is to offer a glimpse as to the political relevance of ‘esoteric’ writing for Western thought as depicted by Leo Strauss. It aims to explain his conception of the ‘art of writing,’ and the ‘esoteric-exoteric’ tradition, in the context of political philosophy, which Strauss viewed in terms of a propadeutic teaching that must take seriously the consequences of fulfilling in practice what it learns and teaches in speech. 17.00-17.30 break 17.30-18.00 Joyce Pijnenburg (University of Amsterdam) “Imagery in Giordano Bruno’s later works” Abstract: In the period during which Giordano Bruno resided in Northern Europe (1586-1592), his image-based art of memory took a new turn. Thus, in the work Lampas Triginta Statuarum, written while he was staying at Wittenberg, he claims to have perfected the art so that it could truly form the basis for a nova philosophia and for higher knowledge. I will discuss Bruno’s use of astrological images in his later works, to exemplify an important development in his cosmology, epistemology, and metaphysics. 18.00-18.30 concluding discussion Location and how to get there The conference will be held at the Doelenzaal in the Singel building of the University Library: Singel 425 in Amsterdam. From Amsterdam Central Station it is five minutes by tram (nr. 1, 2 or 5: get off at stop Koningsplein), or about twenty minutes on foot. For a map, see: http://cf.bc.uva.nl/locaties/download/plattegrond_uva_bieb.htm The Singel building is nr. 1 on the map.